The story here is of two friends Vikram (Unni Mukundan) and Adithya (Dulquer Salmaan). They sort of lived in a competitive mood and there was sweet-sour spat happening over time. Vikram sails through hunky-dory style and wants to become a Police Inspector like his father Vasudeva Shenoy (Anoop Menon), who on earlier struggled a lot to marry his colleague Lakshmi (Lena). On the other, Adithyan (Dulquer Salmaan) brought up altogether in a different situation. His habits often lands him in trouble and he also want to join police force. There's a love interest between them, Deepika (Namitha Pramod) daughter of Homeopathic doctor (Joy Mathew). Meanwhile Deepika is more interested in Adithyan. Now whole story concentrates around their SI selection and the proceedings after this takes you to the climax. Narration in the first half goes a bit exaggerated with flashback moments and the second half traverse through smoothly with all the ingredients of an entertainer. Lal Jose managed it quite efficiently and tries everything from his armoury. The script fails to keep up that ebullience to make it a perfect one. On technical aspect, Jomon T John pretty swiftly adapted the visual frames and editing could have been on better side. Bijibal's music and BG score stays at the average. 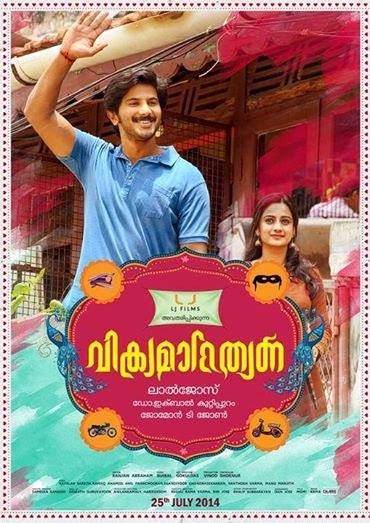 On the performance side, Dulquer Salmaan stole the show with overall approach towards his character. Unni Mukundan too made his mark and delivered his role subtlety. Namitha Pramod gave her best, Anoop Menon again back with gem of rendering. Lena, Joy Mathew, Nivin Pauly, Charmila, Sidhartha Siva, Santhosh Keezhathoor and others have justified their respective roles. For the banner of LJ Films, Lal Jose is the producer of this film.